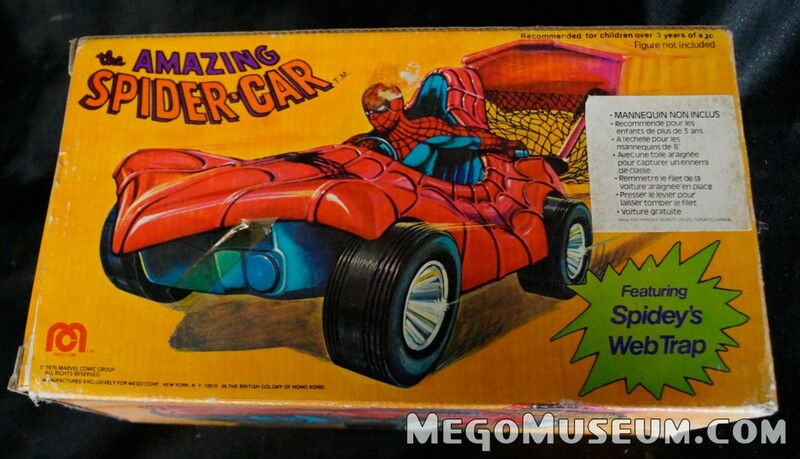 Lucky for us Mego relented and the Spider Car sold quite well, Marvel gave it a cameo in the comics (and mentioned Peter Parker couldn’t drive) and history is born. 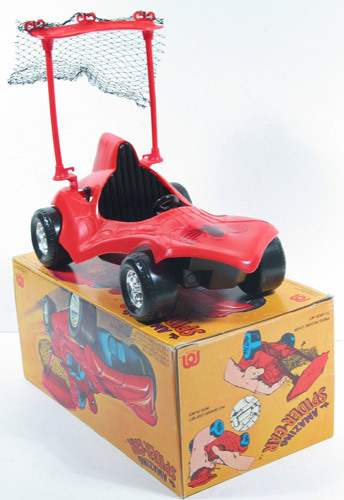 Thanks to the folks at susamy.com for the nice photos of the loose car! 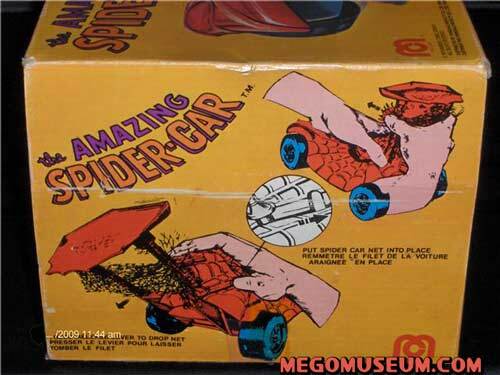 Box photos are courtesy of me. 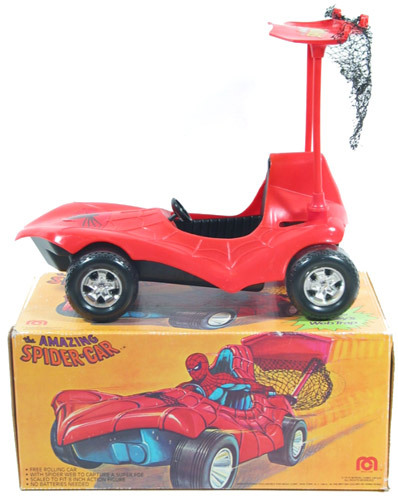 Mark Schmidt sent in these shots of a rare Parkdale Novelty Canadian edition of the Spider Car. 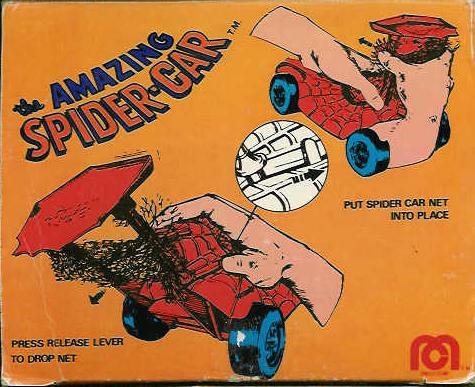 While there have been reported sighting of a US version with a Parkdale sticker, this is the first bi lingual box reported. 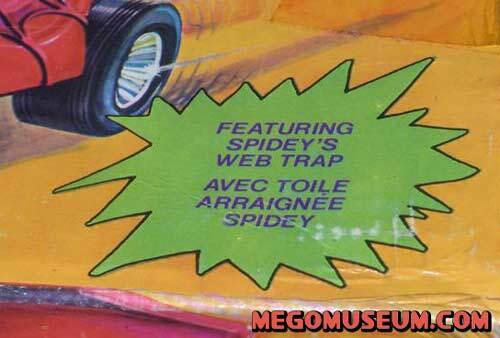 “Avec Toile Araignee Spidey” just doesn’t sound the same…. 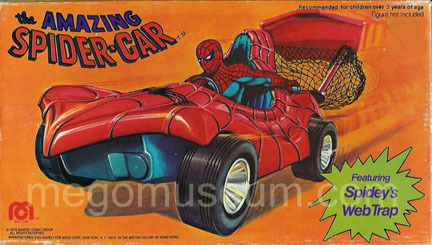 Here is yet another Canadian Variant of the Spider-Car, this time it’s the US box with a French sticker thrown on it. 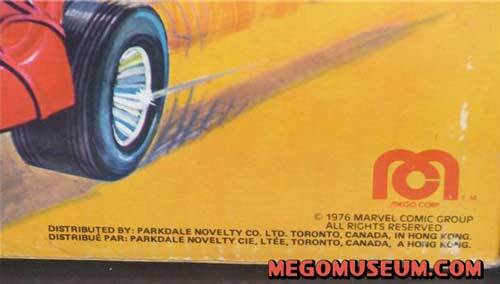 A close up of the sticker, these kinds of things were common in Canada in the 1970s, Parkdale did get their own bilingual box printed so this was either a fill in or a replacement for an order. 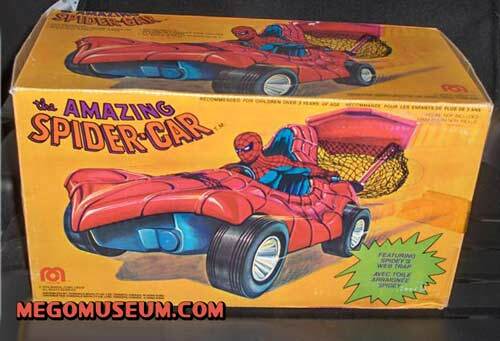 Either way, they are very tough to find.